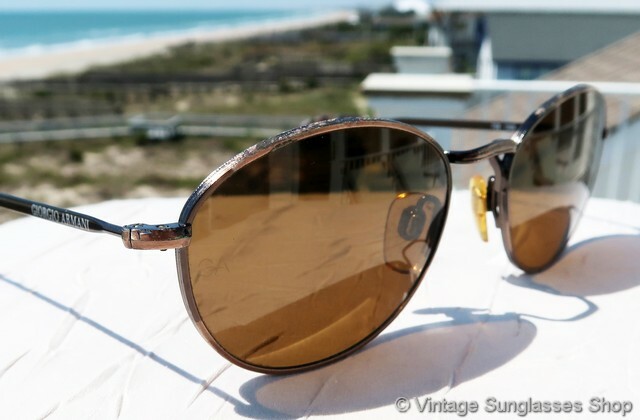 1 Vintage Giorgio Armani 708 1069 sunglasses feature an intricately etched metal frame that exudes the finest Italian quality, an understated and elegant look that's perfect for both formal and casual occasions. 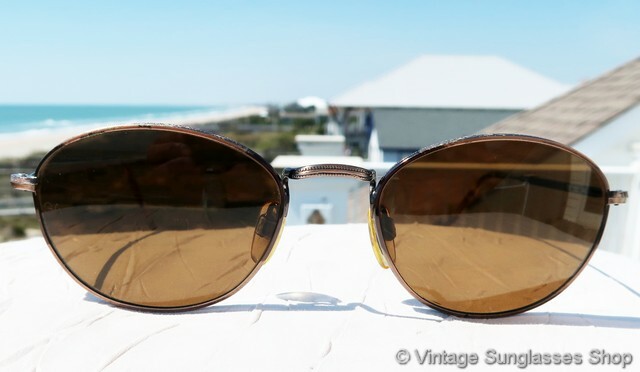 Note the precision of the etching around the front frame lenses and across the nose bridge, and tortoise shell ear pads add a final design flourish. 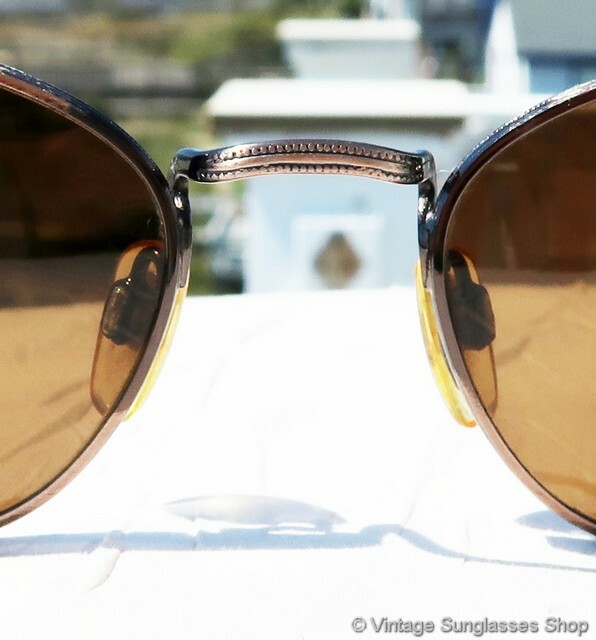 The Armani mineral glass lenses provide 100% UVA and UVB protection for your eyes, and the styling is sure to get you noticed without the extremes of modern designer sunglasses. 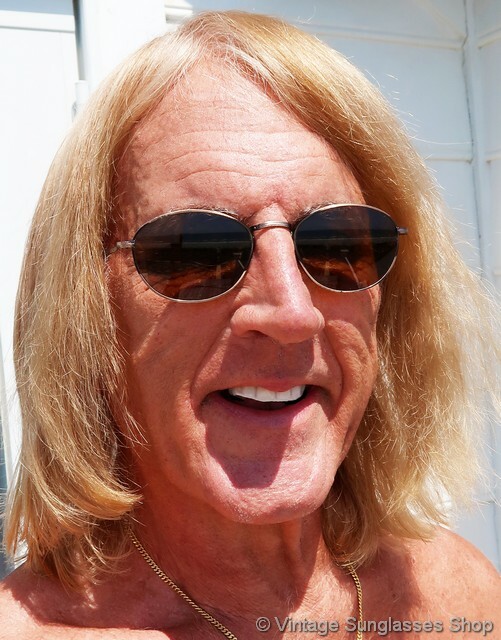 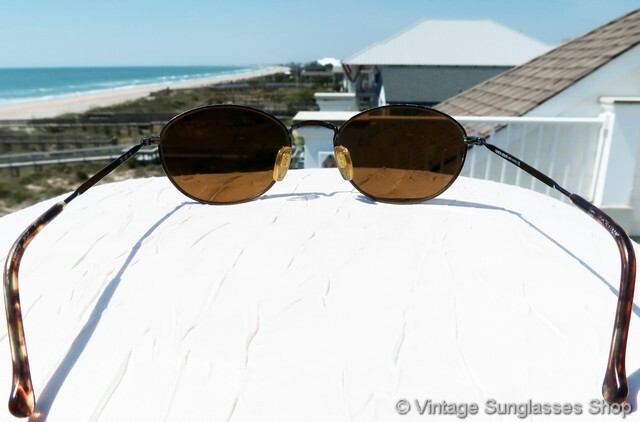 The unisex Giorgio Armani 708 frame measures approximately 5.25" temple to temple, and the lenses measure approximately 2.0" x 1.5" at the widest points with both lenses laser etched GA near the hinges. 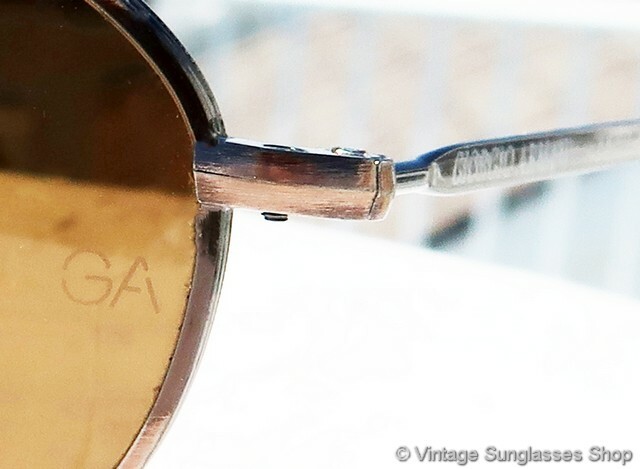 You'll find the Giorgio Armani logo embossed on the exterior of both ear stems, subtle but effective branding typical of top designer eyewear. 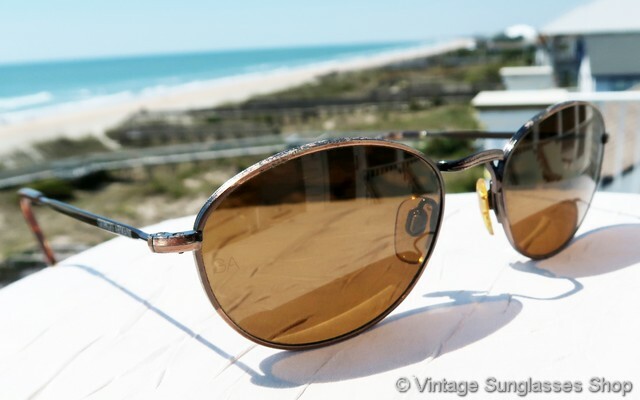 The inside of one ear stem is marked Giorgio Armani Made in Italy CE while the other stem is marked 708 1069 140, direct from a fine New Orleans, LA estate of fine 1980s and 1990s designer sunglasses. 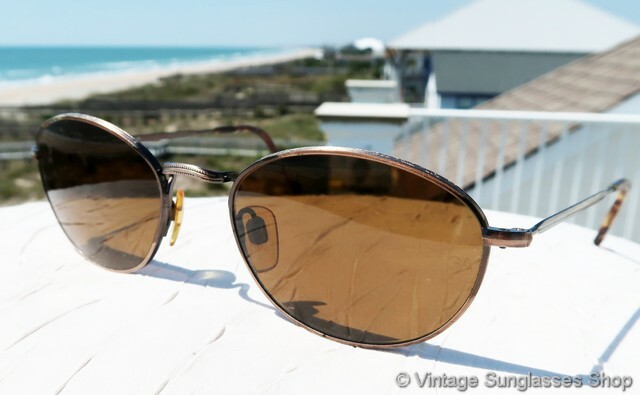 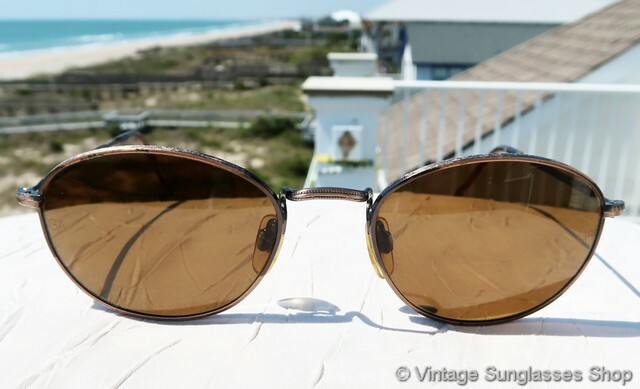 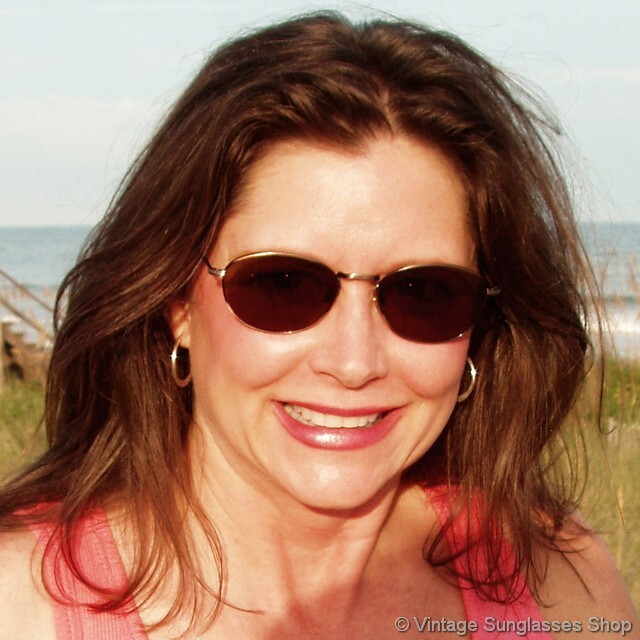 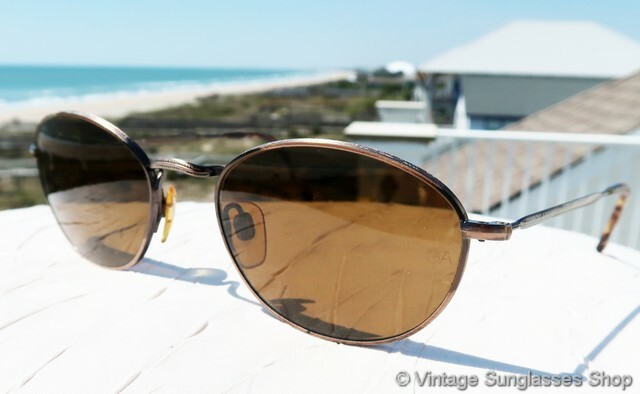 2 Step up another level beyond our already unequaled vintage condition standards with new old stock Giorgio Armani 708 1069 sunglasses in mint, unworn condition.